Good evening. 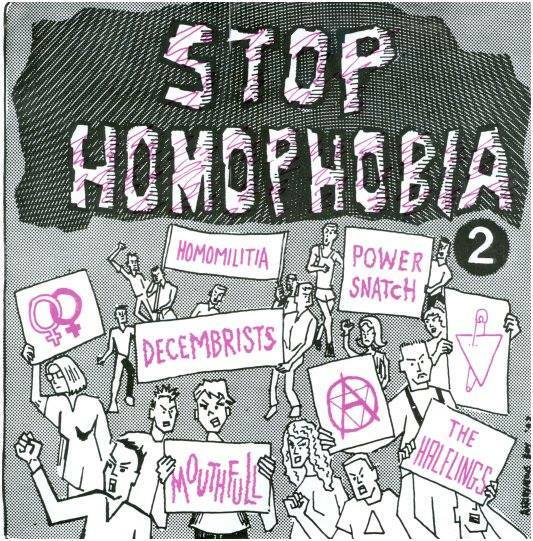 We’ll be liveblogging the homophobia debate taking place in DCU this evening as part of DCU LGBTA’s Ally Fortnight. The recent controversy surrounding homophobia started when Rory O’Neill a.k.a Panti appeared on RTÉ’s The Saturday Night Show whilst naming some high profile figures in the public eyes as homophobic. He then made this video, clocking up over half a million views since the start of February. 18:11 DCU LGBTA chairperson Declan Faulkner welcomes everybody to the debate including the guest speakers. 18:14 Labour T.D John Lyons takes to the floor first and speaks about the hardship of coming to talks like these as he has to discuss aspects about his private life but also acknowledges the need for these debates. 18:21 Lyons speaks about how, when he was younger, he had to lie constantly when he went out to gay bars in town and how he got “absolutely sick of pretending” to everybody in his life. 18:22 Lyons speaks of how, on his J1 in America with his close friends, he vividly remembers walking up to his best friend and told him that he was gay with his best friend replying “I’ll put on the kettle.” John says how today he is still as close to his friend as he was back then. 18:25 Lyons talks about how Panti a.k.a Rory O’ Neill made him question himself after her watched Panti’s recently viral video Noble Call. 18:27 John states how angry he gets when he gets asked “which team do you play for” and how enraged he gets when somebody questions him about which role he plays in an intimate relationship. 18:30 He continues by saying that he believes that some people in the public eye are genuinely homophobic but “dress it up” as something else but that many others don’t have a proper understanding of the issue. 18:32 He states that the debate is not as simple as most people think and asks people to check themselves regarding the issue and ask themselves why they feel this way. He also says that five or six years ago, he didn’t properly understand what being transgender is and how now, his opinion has changed completely. 18:34 Averil Power takes the floor next by asking allies of the LGBT society to show as much support as they can to the issue. She talks about Panti’s Noble Call and how every time she watches it, she notices something different about it. 18:36 Power asks the question “what is homophobia” and agrees with Rory O’Neill’s opinion that it’s a whole spectrum of intolerance.She speaks of how our schools are “rampant” with homophobia. 18:38 Power talks about how when the Iona Institute received a pay-off from RTÉ, they expected the homophobia debate to be over, but they were completely wrong. 18:41 Power talks about the one thing that gives her hope is the amazing work that groups like BeLongTo are doing to combat the issue. She praises how far this country have come in the past twenty years since the decriminalisation on homosexuality in 1993. 18:42 Power continues by talking about her experiences with the recent Constitutional Convention and speaks of how people from rural areas aren’t as comfortable with their sexuality and move to more urban areas. 18:47 She pleads with the audience to vote and register to vote ahead of the marriage equality referendum next year. 18:50 Steven Conlon, associate lecture at DCU takes to the stage next. He was a recent sufferer of homophobic abuse in DCU. 18:52 Conlon states that he’s reading from a script as the topic is too emotional for him and how angry he gets when he speaks of the issue. 18:54 He speaks of his third crush when he was sixteen and how it was part of the best summer of his life. Conlon speaks of how secretive they were in their relationship. Michael, whom he developed a relationship with, died later that year. 19:02 Conlon talks about how in his darkest days he contemplated self-harm and how when he was in hospital he came out to a nurse whom he thought was The Virgin Mary due to the valium he was prescribed. 19:05 He comes back to the abuse which he suffered and commends his colleagues, students and the university for the support which he has received. 19:08 A quite emotional speech from Conlon who vividly recalled how difficult his life has been as a member of the LGBT+ society. The floor is now open for questions. 19:14 Power speaks of how we’ve a long way to go when tackling homophobia and easily influenced children are. 19:16 Lyons states how Ireland is “dragging itself” from a traditional society to a modern one in terms of tackling the issue in schools and the staff room. 19:21 An attendant from the floor asks what direction the debate is going as it is now focusing on stereotyping. 19:22 Lyons states that “there’s too much following instead of leading” in the debate. He says that it’s a challenge and groups like GLEN and BelongTo are trying to broaden the focus of the debate. 19:24 Power speaks of her reaction of RTÉ’s payout over PantiGate last month and her frustration at the lack of media coverage when RTÉ removed part of Rory O’Neill’s interview from their website. 19:26 “It’s very easy to go along with discrimination if you don’t see the person,” Power adds and states that we focus on the human aspect of the debate. 19:28 All three speakers strongly urge people, especially younger people to register for voting ahead of the referendum. Lyons states that this is a “citizens referendum” and that they shouldn’t rely on politicians to campaign for a yes vote. 19:38 Lyons states that if we’re talking about religion this time next year, we’re losing the debate and insists that we should be talking about other aspects of the debate. 19:42 The discussion concludes with DCU LGBTA’s and DCU SU’s video We are Allies.Declan Faulkner thanks the guest speakers from the night. And that’s a wrap. Thanks for following our blog tonight and keep up to date with The College View for more DCU news.